I just watched Harold and Maude for the first time, and I was astounded by its ebullient melancholy (I was also charmed by the fact that the theatrical trailer ends with an enormous title card reading, simply, “THANK YOU”). 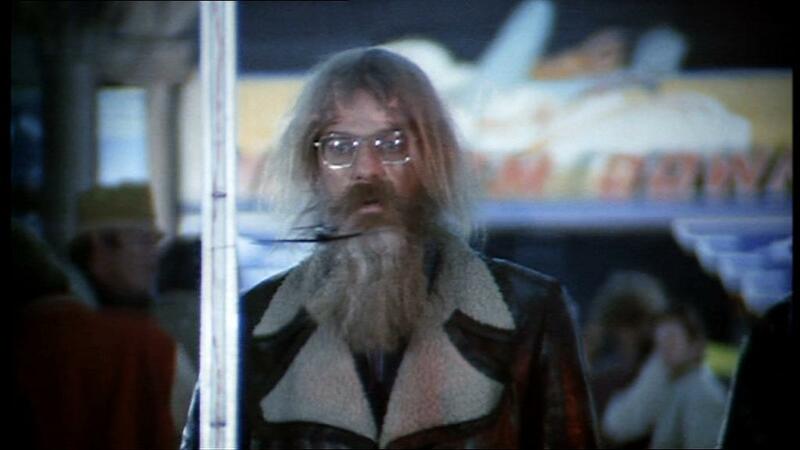 The movie was directed by Hal Ashby, who was an obsessive, detail-oriented hippie (bet you didn’t know there was such a thing!). He started his career as an editor, most notably bringing his considerable style to bear on 1968’s The Thomas Crown Affair, as well as In the Heat of the Night (1967), for which he won an Oscar. Ashby found his first directorial success with Harold and Maude in 1971, and you can tell it was directed with an eye for editing. I never thought a simple cut could be so funny, a freeze-frame so laced with dramatic potency, a music cue so in tune with the story. He again found success in the Vietnam-veteran story Coming Home (1978) and once more with Peter Sellers’ triumphant (and sadly, penultimate) performance in Being There (1979), a movie that I can’t recommend highly enough to anyone. I could talk about how his films owe a lot the French New Wave (and they surely do), but I won’t bore you except to say that beyond the formal flourishes, what Ashby gets at (and what many New Wavers like Godard and Varda understood) is a certain joy in the story being told. Sometimes it’s reserved, sometimes it screams from the projection booth, but I’ll be damned if I can point to a single frame of Harold and Maude (or any of his films, for that matter) that Ashby might regret. The real tragedy of Ashby is that he seems to have operated on a higher wattage than most great filmmakers: He was hot stuff in 1971, but by the end of the decade, he had lost his creative spark and wound up zonked out on any number of mind-altering substances for most of the rest of his life. He returned to directing for a short time, but could only find work in television and produced no great work. He died in 1988. And the award for legendary director who looks most like a homeless person goes to... HAL ASHBY!